Guests entering the recently-renovated Carey Bros. Remodeling project in the San Francisco area will be struck by the handcrafted beauty of rich-looking wood doors. 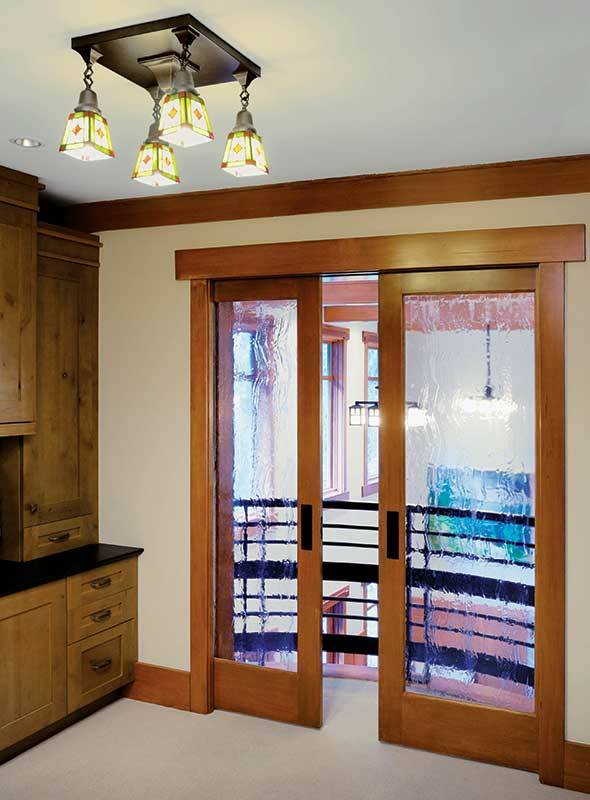 Both the entry and interior doors were created from Douglas fir, a tree species that grows abundantly in the Pacific Northwest where Simpson Door Company is based. The doors for this home are just a small part of the estimated 7,000 wood doors that are made each week by Simpson. Located in McCleary, Washington, the more than one-century-old company operations are located in a half-million square foot facility. “Like a fingerprint, no two doors are the same,” says Brad Loveless, marketing and product development manager for Simpson.” We’re not building to an inventory, we’re making each door to order. Douglas fir has a really tight vertical grain. It’s breathtaking, and by far it’s our most popular species. “Unfortunately, the original pair of wood French doors (with sidelites) off the breakfast nook were beyond repair and budget,” adds Morris’ brother James. Consequently, the plan was to install a sliding patio door, which, according to James, “would have destroyed the authenticity of the restoration.” Fortunately, Simpson stepped up to the plate with an exact replica of the existing door. Nothing could have made the homeowner or us happier,” James stated. 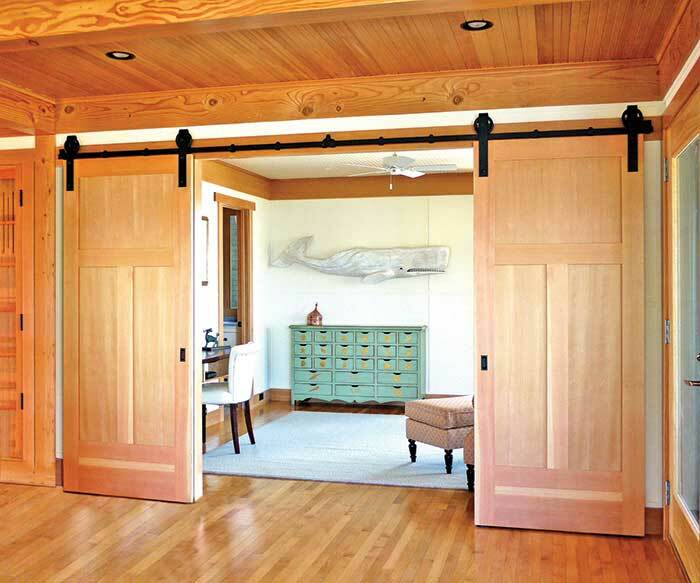 And for those who find themselves “creatively adrift,” Simpson simplifies door selection with their trademarked Doormagination, a set of free online design tools. The easy-to-use system includes a special feature that matches your personality with the ideal door! Meanwhile, Loveless cites Douglas fir’s natural moisture resistance and its optimal performance on exterior products, such as the front door at 604 Second Street. He is quick to point out design features that Simpson offers to maximize protection from harsh weather conditions, such as its WaterBarrier technology and Nantucket collection doors, which can be used especially where a home may be missing an adequate overhang. At Simpson, the health of the environment is always paramount. Whether it’s producing wood doors that don’t emit toxic gases, and are thus conducive for those with respiratory sensitivities, or when it comes to ensuring the health of the forests, Simpson operates with a “lifecycle regenerating perspective” to assure there will be quality wood doors for many generations to come. For more information, visit www.simpsondoor.com. Follow the progress of the historic renovation by visiting www.604secondstreet.onthehouse.com.